A cooling system may malfunction or stop working for a myriad of reasons, and some of these could be specific to the type of cooling system you have. However, certain common air-conditioning problems are universal. Here we cover eleven common problems you may experience with your air conditioner, with suggestions on how to fix them. However, note that it’s vital to call a suitably qualified technician rather than ever attempting to open up a unit or work with internal parts, which could put you at risk of electric shock and invalidate the warranty on your air conditioning system. if you have a central air conditioning unit and some rooms are warmer than others, call a technician and ask about having dampers placed in the system. This could mean a problem with the thermostat or a faulty power supply. First, check the thermostat. Make sure it’s set to “cool” mode and then decrease the temperature. If this doesn’t work, check for a tripped breaker or blown fuse and reset the electricity to see if that solves the problem. Also check the wires to see if this is affecting the power supply. If this doesn’t solve the problem, call a technician to check whether the cooling system’s motor is broken and whether it’s wiring is still intact. How you treat this problem depends largely on the type of air conditioner you have in your home or office. First check whether the circuit breaker/trip switch has tripped. If so, give it a few minutes and then reset it. If this doesn’t work, it may mean that the blower belt needs to be replaced. This is a relatively simple procedure, but would need to be performed by a professional. If neither of these two things work, the condensate pump reservoir may need emptying or the thermostat, control board or wiring may be faulty. check the refrigerant – you may need to top it up. if the unit’s filter is dirty, clean it or replace it if necessary. If all these fixes don’t solve the problem, there may be an issue with the control panel, internal control board or some other internal part. Most often it’s the capacitor – a small cylindrical object that send jolts to start the motor – that needs replacing, especially if the system is humming and the fans aren’t turning. if the air conditioning is a window unit, unplug it and try resetting it. Central units can be complex. Window units are tricky too because users don’t have access to the interiors of the units. Usually it’s best to have any significant repairs done by a professional. In some instances, it may be less expensive to replace a window unit than to have it fixed. Having your air conditioner serviced regularly can help prevent serious problems from occurring and significantly extend a unit’s lifespan. Air conditioning units create condensation, which needs to be drained properly to avoid leaks or extra moisture in the air. Clogged drain channels or a broken condensate pump prevent a unit from reducing humidity. The resulting excess moisture may cause discolouration on walls and carpets. ensure electrical connections to the pump are functional – a condenser that won’t run may not be receiving the cooling control signal from the thermostat. Also check safety switches, the oil level and refrigerant pressure. If the refrigerant is leaking, the low-pressure safety may have been switched. An air conditioner should turn off occasionally – no matter how hot it is outside. This could mean several things, but most likely indicates a problem with the fan. Make sure the fan is running at the optimal speed by cleaning the blades – a layer of grime on the fan blades can slow it down, reducing its efficiency. The condenser and filters could also be filthy. A good clean using professional products should be able to resolve this problem. Other issues that you may need to look out for include a faulty thermostat or a low refrigerant charge. Also check to see if the evaporator coil is frozen. This can happen if the unit has been blowing warm air from the supply vents while running constantly. If so, switch off the unit and contact a technician. A unit that turns on and off constantly is most likely one with a dirty or blocked condenser or evaporator. With the power disconnected, give the entire unit a clean to clear any debris or obstructions. It’s normal for an air conditioner to make some noise, but noises you don’t recognise could indicate a problem. a rattling noise may indicate that you need to tighten cover panels. An air conditioner won’t work if it constantly trips the circuit breaker when it comes on. One step you can take to troubleshoot the problem yourself is to ensure the air filter is clean. A filthy filter forces the fan to work harder, which uses more electricity and can trip the breaker. if the compressor has trouble starting, check for a burned wire and determine whether the compressor or start capacitor is defective. There are several possible causes for unusual odours, including dirty filters and filthy ducts. Ensure regular professional cleans of the air conditioning unit, including the filters and ducts, and make sure that water is drained properly. The technician should also check for mildew and fungus. Electrical odours can result from overheating parts and need to be checked by a technician. Before you attempt to fix anything yourself, ensure that nothing you do will affect the warranty on your air conditioning system or pose a danger of electric shock. For most common air conditioning problems, it’s best to call a suitably qualified professional. 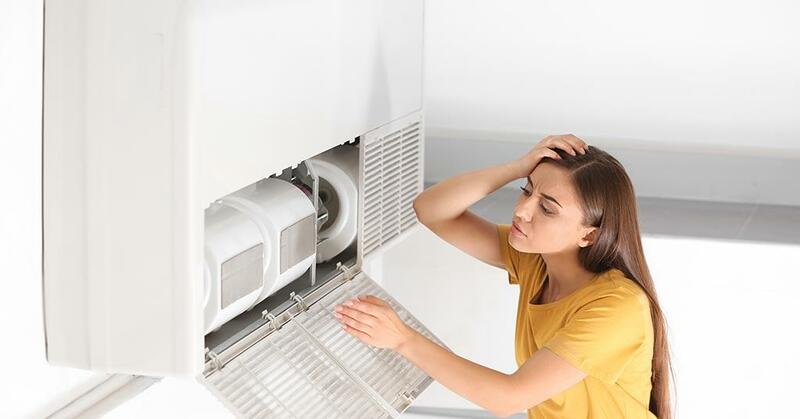 A professional will be able to troubleshoot the problem correctly and advise you on whether it’s better to fix or replace a faulty air conditioning unit. Whether you need an air conditioning unit serviced or repaired, or it’s time to think about replacing your existing unit, Turbovent can help. 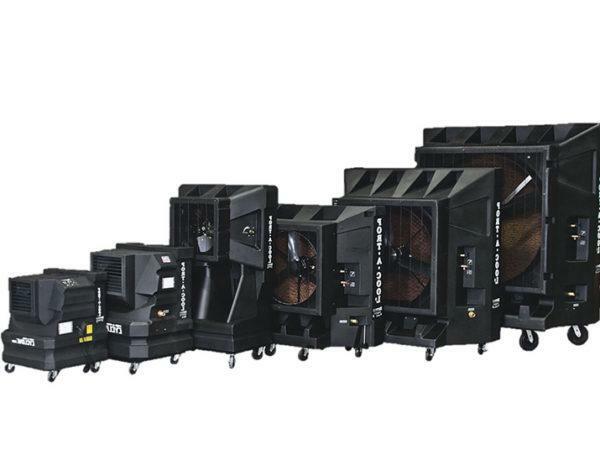 Contact us online or call 0860 266 537 to discuss your cooling needs.